Over the weekend, I took a ride down to Pembroke to see what was happening with the fracas over yellow ribbons at a condo development. In my New York Sun column, I also recite the history of the yellow ribbon as an American symbol; the Library of Congress provides a more extensive history. I also spoke to the men leading the fight down there, Francis Gaeta and Ronald Dowd. 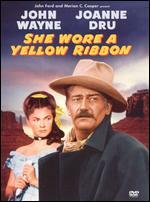 “Over the last three decades, yellow ribbons have emerged as a powerful patriotic symbol. During the Gulf War, soldiers’ families put them up to honor their loved ones. When Iranians occupied America’s embassy in Iran, they were used to mark the absence of the Americans held hostage. The lyrics of a Tony Orlando and Dawn song ‘Tie a Yellow Ribbon Round the Ole Oak Tree,’ tell of a convict returning from prison looking to see if his girlfriend displayed a sign that she still loved him, a yellow ribbon. History aside, the condo association, whose rules govern life in Barker Square, wants the ribbons removed. ‘While ribbons may be fixed to doors or incorporated into door decorations, they are not permitted on the columns,’ says the letter that was sent to Mr. Gaeta. A neighbor and member of the association, Mary Doller, maintains that the edict “is not anti-patriotic” and insists ‘if you live in a condo association, you have to follow the rules.’ The yellow ribbon faction counters that proposed compromises render the ribbons invisible. Back in November, I wrote about the contributions of a new wave of Ivy League graduates eager to serve their country in the military. One soldier veteran I wrote about was Joseph Kearns Goodwin, the son of former Kennedy aide Richard Goodwin and historian Doris Kearns Goodwin. A graduate of Harvard and the recipient of the Bronze Star, Goodwin had written of his experiences in Boston Magazine. Today, in The Boston Globe, Goodwin weighs in with a powerful piece on the lack of contribution by the overall civilian population during our current war in contrast to prior conflicts. He writes: “During World War II, by contrast, our countrymen participated in the nation’s struggle in countless ways. Substantial changes in lifestyles were willingly accepted, along with higher taxes and gasoline rationing. Automobile companies worked round the clock to produce the planes, tanks, and trucks needed for soldiers. Textile mills ran double shifts to fill orders for uniforms.” Particularly touching is Goodwin’s anecdote about how ordinary Americans could have made Humvees in Baghdad work better — if only they had been asked. Yesterday, Owen West and his father Bing West had a joint op-ed in the Wall Street Journal about the little-notice and important trend of Sunni tribal chieftains signing on with the Americans against the Jihadis. Bing West was a Marine officer in Vietnam who oversaw combined-action patrols. His classic account, “The Village”, showed the strides the U.S. had made in counter-insurgency fighting near the end of Vietnam. As for Owen West, the shirt-tale of the op-ed tells some of the story. “Owen West …is a managing director at a Wall Street bank and just returned from Anbar where he was a Marine adviser.” Unless you were a sharp-eyed reader, you probably missed the significance of this. That bio refers to a person who is a managing director on Wall Street, who in the midst of a bang-up year on the Street, left to serve his country in Iraq. Aside from his writing, West is a low-key guy. But let me tell you something. He was in my class at Harvard, a rower, and impressive to anybody who knew him. We are fortunate to have people like Goodwin and West, who have every opportunity in the world open to them, and go off and serve their country. Unlike the rest of us who have spent the last five going on six years navigating the aisle at Whole Foods and Trader Joe’s, these guys have given something back to their country. And, now, with their talents and insight, they are continuing to contribute by influencing the discussion here at home. I just finished watching Bob Woodruff’s magnificent report on soldiers returning from Iraq. Woodruff’s report was, obviously, informed by his remarkable recovery. With the foundation of his experience — being a reporter who actually spent time at Walter Reed after a devastating brain injury– Woodruff performed a valiant piece of advocacy journalism. Here’s what struck me. Woodruff grilled Jim Nicholson, the Secretary of Veterans Affairs, on the more than 200,000 soldiers who have been treated at the VA. Nicholson’s answer was that many had been in “for dental care”. As I former press secretary, I can tell you that’s the wrong answer. You have to fix the underlying problem. Minimizing the problem in such as laughable way, as Nicholson did on ABC, only backfires. The denial called to mind the executive branch’s refusal to acknowledge the problem at the Convention Center in New Orleans in 2005 even as the t.v. networks all had footage of it. I’ve stated something over and over again. And I’ll say it one more time. We send men and women to war. We’ve got to stand by them when they come home. That doesn’t just mean this year or next year. It means, in many cases, for the rest of their lives. That’s a patriotic duty for all of us.